Orbáns Ungarn Paul Lendvai Kremayr & Scheriau, Wien 2016, 239 s.
These days it would be hard to find a European leader who stirs up as much emotion as Hungary’s Prime Minister Viktor Orbán. He especially caught the public eye in 2015 when the refugee crisis gripped Europe. An image that epitomized the crisis was the dramatic footage of refugees camping out at Budapest’s Keleti Station. Orbán’s government made it clear right from the outset that refugees were not welcome in Hungary. A few weeks earlier he had started building a fence on the border with Serbia in an ironic twist that turned the country that was the first to cut through the Iron Curtain in 1989 into the first European country that responded to the wave of refugees by starting to build fences and roadblocks again. The solutions proposed by Viktor Orbán have edged from the margins to the center of the political discourse. 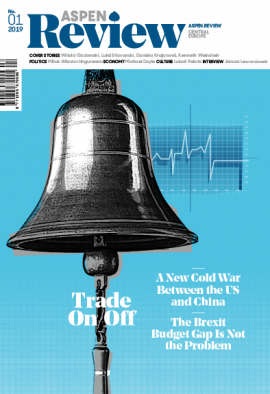 In his view, the only way out of all crises is a strong nation state with secure borders. This was the point when the then 54-year-old Viktor Orbán laid the foundations to his image of an unofficial leader of the part of the European Union that rejects further integration under the banner “my country first.” However, he has also called for the dropping of sanctions imposed by the EU on Russia after its annexation of Crimea in 2014. The Hungarian prime minister has thus become the main adversary not only of the European Commission and European Parliament but also of his fellow European prime ministers (the German Chancellor Angela Merkel in particular) who, unlike him, rely on joint European solutions. Things have now reached the point that any statement of Orbán’s could be regarded as a more or less veiled attack on the EU and its very substance, even if it seems constructive at first sight. The EU has been hit by the refugee crisis, Brexit, and Donald Trump’s election victory in the US in rapid succession. What had long been taken for granted in global politics no longer holds true. In this situation the solutions proposed by Viktor Orbán have edged from the margins to the center of the political discourse. In his view, the only way out of all crises and uncertainties is a strong nation state with secure borders, one that asserts its interests with confidence and guarantees its citizens stability and clarity. Orbán has presented this as an alternative to the project of European integration, which is increasingly losing popularity. Who is Viktor Orbán? Where does he come from? What drives him? What is the secret of his continuing success at home in Hungary, where he has repeatedly won landslide victories and has even secured a constitutional majority? An answer to many of these questions can be found in Orbán’s Hungary, the most recent book by the Austrian writer and commentator Paul Lendvai. The veteran journalist, who was forced to flee his native Hungary in the whirlwind of the failed 1956 Revolution, had over the following decades established a reputation as one of the greatest experts on countries on the far side of the Iron Curtain. Having served for many years as Financial Times correspondent in Vienna, he founded the Eastern European desk at ORF, the Austrian public broadcaster, became head of its foreign broadcasting and continues to chair its discussions to this day. This is not the first book in which he has cast a critical eye over his former motherland. His 2011 book My Squandered Country caused quite a stir. On that occasion, the author experienced at first hand the ire of Orbán’s followers among Hungarians living abroad. Several public readings had to be cancelled, either out of concern about the potential negative repercussions on Austro-Hungarian relations or because of the anonymous threats Lendvai received. Lendvai’s latest book is not a traditional biography, and probably was not intended as such either. Against the backdrop of Orbán’s personality the author documents the momentous changes the country has undergone under his leadership over the past few years. In this period, Lendvai’s book claims, Hungary’s position has shifted dramatically. The high flying country, which had weathered the transition from communism to a free society better than any other in Central Europe and became a magnet for investors, has turned into a country whose government now hews more closely to the authoritative and apparently stable regimes in Russia, Turkey, China, Azerbaijan, or Kazakhstan. The high flying country, which had weathered the transition from communism to a free society better than any other in Central Europe has turned into a country whose government nowhews to regimes in Russia, Turkey, China. Lendvai does not conceal the fact that back in the 1990s he was among Orbán’s admirers. Unlike many other representatives of his country’s new post-communist elites, Viktor Orbán spoke fluent English and was willing to continuously improve himself. No one doubted that his goal was to introduce to Hungary the standard political model familiar from the established West European democracies. Reshaping Hungary in his own image is not Viktor Orbán’s sole ambition. He also wants to secure a dominant position for his party, Fidesz, for the next fifteen to twenty years. Reshaping Hungary in his own image is not Viktor Orbán’s sole ambition. He also wants to secure a dominant position for his party, Fidesz, for the next fifteen to twenty years. It is worth noting that the party’s core is basically comprised of the same group of people who founded it nearly thirty years ago at the István Bibó College in Budapest, albeit, at that point, as a student society called “The Union of Young Democrats” (Fidesz), not a political party. This is where the strong network of connections, of personal and political friendships was formed, fortified by their joint love of football, which has contributed to the group’s strong cohesion. This is where the foundations of many a political career were laid, subsequently making a mark on the post-communist Hungary’s political scene. And this is why the three top offices in the country are currently held by Fidesz founding members: apart from Orbán, they include Hungary’s President János Áder and the Speaker of the Parliament László Kövér. By contrast, Orbán has gradually drifted away from Gábor Fodor and Lajos Simicska—two other college friends and close allies from the early days of Fidesz—their relations eventually souring into open enmity. In both cases what probably played a role was the Fidesz leader’s fear that they might overshadow him and get out of control. For example, Fodor enjoyed far greater popularity than Orbán in the 1990s, who therefore saw him as serious competition. Simicska, in turn, had for years been the “party’s brains,” ensuring that the party coffers were full. In return, his building company could rely on a steady stream of lucrative state tenders. However, the two men fell out after 35 years, with Simicska accusing Orbán of dictatorial tendencies. The actual facts were probably slightly different: following his second landslide victory in a row in 2014, Orbán started replacing Simicska’s loyalists in various ministries and other key positions. Simicska took this very badly, realizing that this posed a threat to his economic model and political influence. As part of what he refers to as his “unorthodox economic policy,” Orbán has decided not only to transform Hungary’s economy but has also given his blessing to a new generation of oligarchs. On the other hand, the rift between the two men fits into a broader pattern of changes in the economic functioning of the country, initiated by Orbán. As part of what he refers to as his “unorthodox economic policy,” Orbán has decided not only to transform Hungar y’s economy but has also given his blessing to a new generation of oligarchs. A new economic empire has emerged around the prime minister, with János Lázár and Antal Rogán, ministers in the prime minister’s office, and Györg y Matolcsy, head of the National Bank, as its key actors. There was no room left for Simicska in this structure. The picture of Orbán that emerges from Lendvai’s book is thus, strictly speaking, a portrait of a man constantly striving to seize control of something. First over the party (his rivalry with Fodor), then over political competition (the first election victory), and eventually also over the institutions that are supposed to control Orbán: the media and the courts. As soon as Orbán could form a government, he did not hesitate to seize the opportunity and build a media empire that was favorable to him. How much importance the Hungarian prime minister attached to controlling the media was apparent from the start of his career. He confided in József Debreczeni, the author of his first biography, how strongly he resented the fact that József Antall, the first non-communist prime minister after 1989, had allegedly allowed a situation to arise in which the Right had no media of its own compared to the post-Communist Left, and ended up being at a disadvantage. For this reason, as soon as Orbán could form a government, he did not hesitate to seize the opportunity and build a media empire that was favorable to him – either by founding new media outlets or trying to gain control over the existing ones, especially the state-run radio and television. News coverage was supposed to follow a single line: lavishing praise on the prime minister and his government while showing his coalition partner, the Smallholders’ Party and parties of the former social-liberal coalition, in the worst possible light. In addition to a number of factors that had played into Orbán’s hands in the past, such as the widespread corruption of the previous social democratic governments, Lendvai mentions another issue that the prime minister has seized upon and has used in a masterful way: the powerful national card. This is a reference to the enduring trauma of the 1920 Treaty of Trianon, which left two thirds of the former Kingdom of Hungary and forty percent of its inhabitants outside the borders of the newly-created Hungarian state. Over the years this has fostered patterns of behavior that have echoed through Hungary’s recent history and are present in the current confrontation between the country and its government and the European Union, playing on the sense of an existential threat to the nation and its betrayal by the foreign powers. The national issue continues to be explosive even though, following the Central and East European countries’ EU accession, all restrictions on the free movement of the Hungarian minority have been effectively removed. Lendvai believes that, as the result of the Right’s populist rhetoric on the one hand and the Left’s passivity on the other, the issue has been completely appropriated by right-wing and extreme right-wing politicians, who have made sure they give it a suitable spin. Lendvai dates the moment when Orbán came up with the issue to 2004. It was the year when his scheme to grant Hungarian citizenship to ethnic Hungarians living abroad failed. After Fidesz regained power in 2010, his government introduced new legislation that enabled members of Hungarian minorities to apply for Hungarian passports even if they were not permanent residents of the country. Four years later, Hungarians living abroad were able to participate in the next general election and it was hardly surprising that 95 percent of them voted for Orbán’s party. Political scientists disagree as to whether the system Orbán introduced in Hungary after 2010 is still a democracy or whether it is a form of an authoritarian regime. The only thing they agree on is that it is not a liberal democracy. Labels such as “hybrid regime” (András Bozóki) and “semi-democracy” (Erzsébet Szalai) have been used while others have spoken of a “Mafia state” (Bálint Magyar) or said that Hungary is headed for a “highly centralized illiberal democracy that systematically weakens the system of checks and balances” ( Jan-Werner Müller). Political scientists disagree as to whether the system Orbán introduced in Hungary after 2010 is still a democracy or whether it is a form of an authoritarian regime. It is customary to conclude a book by outlining prospects for the future, with maybe even a touch of optimism. You will not find much of either in Lendvai’s book, however, particularly with regard to the chance that opposition can be mobilized against a regime whose controversial new constitution helped to cement its power structures for years to come. Given the ramshackle state of the traditional Left, civic initiatives are the only ones who might take on the opposition mantle, something they have recently demonstrated in the context of a petition against the proposal to hold the summer Olympics in Budapest. 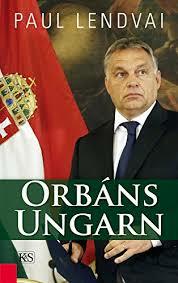 Nor does the author hold high hopes that the European Union might exert pressure on Hungary. Lendvai believes that the EU will never go as far as to use the “nuclear option,” namely invoke Article 7 of the European Union Treaty enabling it to suspend the voting rights of member countries that have committed fundamental human rights violations. Lendvai thinks that, if nothing else, group solidarity among Central European countries would prevent that. His conclusion is thus thoroughly pessimistic: as the European vision disintegrates, Viktor Orbán will probably see his power grow more than ever.